will. He has no ‘partner’ either in creating the universe or in maintaining it in existence. He is not only the ‘First Cause’ but also ultimately, the only cause and He is Himself uncaused (Hassan Gai Eaton – The concept of God in Islam). Prophet Muhammad (peace be upon him) as a prominent figure is universal not only because of his message of equality, but because of his altruistic character. He constantly helped the poor and anyone who needed assistance of any kind. His teachings apply to any timeframe, to people from any part of the world, be they rich or poor. Amongst his many wise teachings was: “Do not belittle even the smallest act of kindness, even if it were no more than greeting your brother with a smiling face”. The following story demonstrates the Prophets altruism. An old woman had a habit of throwing rubbish on Prophet Muhammad whenever he passed by her house. When the old woman threw rubbish on him, he would pass silently without showing any anger or annoyance and this happened on a regular basis. the command of Allah that if anyone is sick, a Muslim should visit and help them if their help is needed. The old woman was greatly moved by this kindness and love of the Prophet. By this example, she understood that he was truly the Prophet of God and Islam was the true religion. She subsequently embraced Islam. In this manner, (before the Prophet died at the age of 63,) most of the people of Arabia had embraced the message of Islam, and in less than a century the message had spread to Spain in the west and as far east as China. In the Islamic view, the ‘message’ transmitted through the Prophet Muhammad (peace be upon Him) represented, not a completely new religion, but a corrective to the falsifications and distortions which had taken place and at the same time, an uncompromising re-assertion of the pure doctrine of the One God. successive revelations collectively known as the Quran. The Quran contains guidance for the whole of humankind and exists in exactly the same form today as it did when it was revealed 1400 years ago. The guidance contained in the Quran enables all of us to live a life in a way that God loves and is pleased with. As the Creator, God knows us best and is therefore best placed to guide us on how to “function optimally”. Suppose you bought an iPhone, would you read an instruction manual produced by Sony Ericsson? Logically, no! The rationale is quite simple; the company that produces the phone knows its product inside out and so is best placed to write an instruction manual for its users. 1. A relationship with his/her Creator. 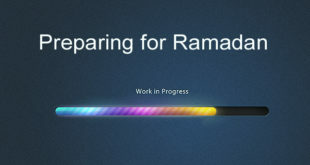 This essentially strengthens one’s faith and enables one to draw closer to Allah through engaging in acts of worship. full knowledge of all things. However, every individual has free will within the realm of responsibility and is not pre-destined against their will, therefore is able to make choices in life. Practicing Muslims follow the commandments of Allah in order to seek His pleasure. But in addition to this, the commandments themselves contain certain inherent wisdoms. The five pillars of Islam thus form the basis of Muslim life. The first pillar as mentioned previously is to testify that there is no God worthy of worship except Allah, and that the Prophet Muhammad (peace be upon him) is the final messenger. This is in fact is the essence of Islam. “Recite, (O Muhammad,) what has been revealed to you of the Book and establish prayer. Indeed, prayer prohibits immorality and wrongdoing, and the remembrance of Allah is greater. And Allah knows that which you do. Prayer is a time to stand before Allah and express faith, give thanks for the blessings He has bestowed upon us as well as to seek guidance and forgiveness. Through bowing and prostrating to the ground, Muslims express their utmost humility before the Almighty. If we look at the concept of NLP (Neuro-Linguistic Programming) we see that there is a two-directional relationship between our thought processes (Neuro), our communication (Linguistic) and our behavior (Programming). If you change one, it has a knock on effect on the other two variables. So if you change your behavior to perform prayer (which is a physical action as well as verbal communication with Allah) it will naturally affect your thought processes- increasing your faith as well as inspiring you to want to draw closer to Allah by performing righteous deeds. 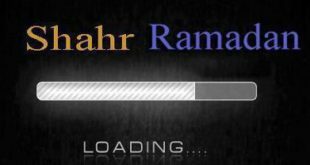 Fasting enables a person to develop self control and frees them to devote their body and soul to worship. 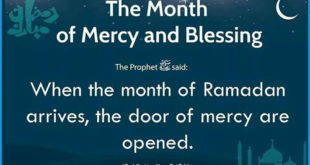 Ramadhan is also a great opportunity to appreciate the blessings that Allah has bestowed upon us and gives us a taste of what the poor and hungry across the globe experience; often on a regular basis. The active practice of zakah demonstrates that love for Allah in following His commandments is greater than the love for wealth. It also serves to help the poor, those in debt and protects the nation as well as strengthening one’s faith. The fifth pillar incumbent upon a Muslim is that he/she performs the Hajj or known in English as the pilgrimage, at least once in their lifetime if they are financially able to do so. On average, approximately 2 million people attend the Hajj every year and it is an amazing spectacle for all of humanity. It demonstrates unity despite multiplicity, inculcates a sense of humanity, and for the individual pilgrim, inspires patience and tolerance. The journey itself is wholly a spiritual one, incomparable to any other on earth. 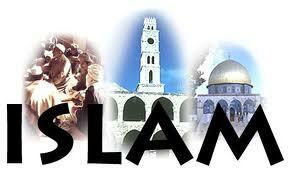 Although the dictionary defines Islam as ‘the religious faith of Muslims’ it is in fact much more than that. Islam is a way of life; an entire system of living that permeates every aspect of an individual’s day to day activities. Practising Islam is truly fulfilling and enables one to be at peace with oneself, one’s Creator, one’s family, neighbours and with society at large. The universe is filled – like a great picture book – with ‘signs’ which bear witness to its Creator and which reminds us, if we have pure hearts and seeing eyes, of God’s power, majesty and His beauty. “In summary, the God of Islam is transcendent, the All Powerful, All Knowing Creator and lawgiver, though at the same time infinitely merciful, generous and forgiving. The human, His creature and servant, stands before Him without intermediary or intercessor, meeting Him through prayer during this brief life on earth, and meeting Him face to face when life is over. In Islam God does nothing like a human being and doesn’t make Himself accessible through idols or images. He is what He is, absolute and eternal, and it is as such the Muslim worships Him” (Hassan Gai Eaton – The concept of God in Islam).